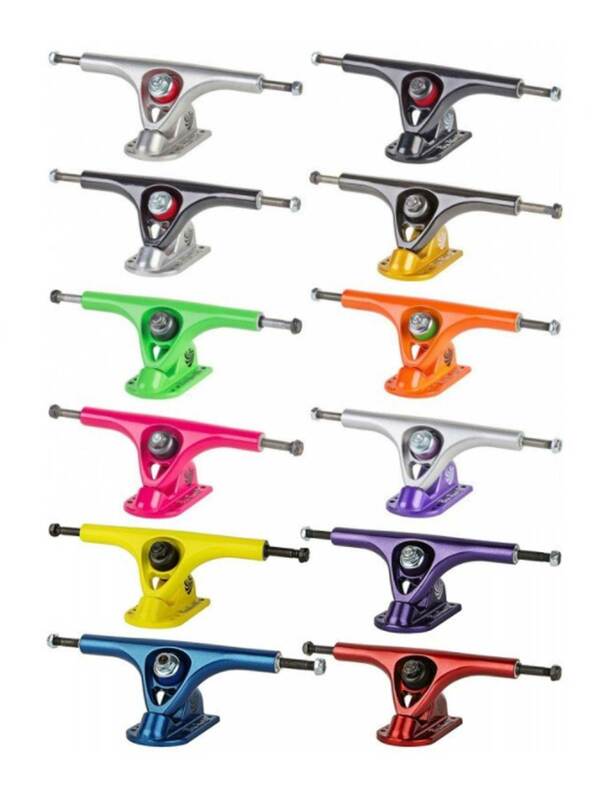 Your trusted Paris Trucks. Available in the colors listed. The V2 has the same beloved Paris design with some new upgrades and improvements! The V2 improvements include: Redesigned, stronger faced hangers. Tougher, longer lasting pivot cups. Improved kingpin clearance for a better carve. Stronger, more durable powder coated finish.